ought to be he can be it. same thing for other things. lucille clifton’s poems mesmerize us with vivid imagery, powerful honesty and dreamy melodies. deceptively simple, clifton’s short poems contain entire landscapes, histories, declarations and songs of myself. the beautiful language coalesces into deep metaphors and brave truths about race, slavery, war, sexism and civil rights. in humanizing the exploited earth, clifton humanizes exploited people. she returns us to our ancient and innate humanity where we come from the sun, putting forth healing energy. the lack of punctuation and capitalization gives the poems in good woman a streamlined immediacy that we admire. each line break is music that produces a complete sensation. we’re sympathetic to the view that everyone should be allowed to be who they are: the tree, the woman,the man, the rain. lucille clifton is one of our most beloved art ancestors. 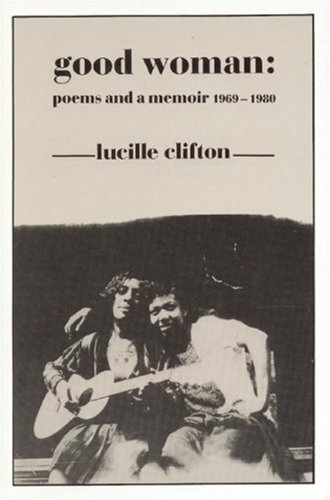 work cited: clifton, lucille. good woman: poems and a memoir 1969-1980. brockport: boa editions limited, 1987. print.